How is Speech Recognition Used in Law Enforcement & Police Dept. Dictate incident reports using Dragon Law Enforcement to complete documentation faster to allow more time for the important tasks. Speech recognition also improve s the quality of reporting by allowing users to be more detailed in less time. Law enforcement needs to use every possible advantage when enforcing the law, keeping the streets safe, managing vast amounts of data and making the best use of taxpayer dollars. Speech recognition technology allows police departments and law enforcement agencies to accomplish just that. 1) To manage vast amounts of paperwork. Law enforcement often involves filling out considerable paperwork, including incident forms and police reports. This can be time-consuming and difficult part of the job. With a voice recognition software system, personnel can train the system to recognize their voice and can then input entire paragraphs or reports at a rate of 130 words per minute, or more. This can make it easier to handle large amounts of paperwork. Files can also be automatically digitized, making them easier to retrieve later. 2) To reduce transcription costs. In some cases, police in the field will dictate information, which then later has to be transcribed. With voice recognition for law enforcement, these transcription costs — and the time it takes to transcribe documents — can be reduced greatly. 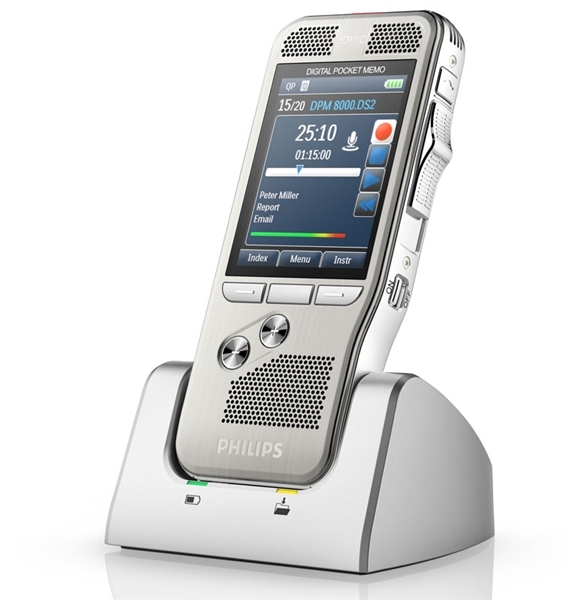 Transcription can be near-instantaneous with the use of speech recognition software. A report from the field or forensics lab can be made available to officers and personnel almost immediately. Sharing information and reducing the time it takes to get information from one department to another can save lives in law enforcement. With speech recognition software, it's possible for law enforcement to quickly complete reports and spend less time on transcription, report filing, and retrieving documents. With speech recognition, documents can be submitted as quickly as they are spoken. This reduces filing time, typing time and more — meaning officers are freer to pursue more important work. Less time spent also means saving taxpayer dollars that would otherwise have been spent on report writing. The time savings can be substantial. When police in Chatham-Kent, Canada, adopted speech recognition, they reported an 85% reduction in the amount of time it took to create police reports. The more reports that need to be written and the more paperwork that needs to be filed, the more personnel and staff need to be brought on board to deal with the larger workload. By reducing the amount of time it takes to transcribe and write documents, dictation software can help reduce the number of staff needed in a department, reducing taxpayer burdens and making a law enforcement department more streamlined and efficient. 5) To offer jobs to law enforcement personnel with mobility issues. One area where speech recognition software really excels is assisting people who cannot easily type, due to a mobility issue. For these people, dictation software can not only help type reports and transcribe documents, but it can also help open browsers, browse the Internet and handle other computer tasks. Speech recognition software may have a number of features to allow users to control their entire computer. It's possible to print, save and even close down the computer with just the power of voice. For law enforcement, this is especially important given that some personnel may have been injured in the line of duty and may require some accommodation in the workplace. Speech recognition software allows them to maintain their employment by making some tasks at work easier. 6) Reduce incomplete and inaccurate information. In law enforcement and legal fields, inaccurate or incomplete information can be devastating. It can lead to liability issues, unsolved crimes and other problems. Speech recognition software has a high accuracy rate and allows law enforcement staff to correctly transcribe entire documents with fewer errors. 7) Support the mobile and collaborative nature of law enforcement. Today, law enforcement and police personnel may travel over long distances to tackle cases. They may need to pool resources with multiple team members across departments, or even across the country. Sharing information, and being able to get real-time information on-the-go, may be essential to working on a case. With speech recognition software and equipment, it's possible to transcribe documents, type up reports and fill out forms on-the-fly, ensuring information is available when needed — no matter where it’s needed. In addition, team members can easily fill out forms or file reports and then send them back and forth through mobile devices or computers, ensuring everyone on the team has the information they need. 8) Make efficient use of in-car time. Police enforcement and law enforcement professionals have laptops in their cruisers. Unfortunately, there's no way to use these computers safely while driving. Speech recognition allows law enforcement to type, find GPS information and perform other tasks while the cruiser is in motion — all without needing to pull over or delay responding to a call. 9) Reduce time spent on repetitive tasks. Speech recognition programs can be especially powerful and time-saving with the use of macros. Macros are commands — either voice or keyboard commands — that prompt the software to enter an entire string of information or to perform a specific task. For example, a user can customize a macro to automatically log the user into their dispatch system in a police cruiser. Or, a police officer can use a macro to automatically enter a precinct’s contact information into a report or letter. Both save tremendous amounts of time and make the programs more powerful. 10) Improve quality of reports. When police have more time to complete reports because typing doesn’t take as much time as before, they can polish their reports a little more. Speech recognition can also take care of typos and misspellings, which can occur when information is entered manually. In some cases, transcription software will even enter punctuation automatically, reducing grammatical errors that can make meaning unclear. Anecdotal accounts suggest quality can improve with speech recognition. For example, when Chatham-Kent Police Service in Ontario, Canada adopted speech recognition, officers noted an improved quality in police reports. 11) To help solve crimes. Voices leave unique voiceprints, just as fingertips leave fingerprints. Being able to identify a voice on the telephone can help police significantly during the surveillance of suspects. Thankfully, there is already technology in place to recognize people just through their voice. Police conducting surveillance, or who rely on recorded conversations, can use this technology to prove a certain person was the one making a specific statement on the phone. Just as fingerprints can be stored in a database, technology allows law enforcement agencies and federal governments to store databases of voiceprints. Currently, there is technology that can scan through 10,000 voice prints in only five seconds, and identify someone with 90% accuracy — as long as the quality of the recording is good and at least 15 seconds in length. How Do Police Use Speech Recognition? Voice recognition in law enforcement is used in a number of situations, but usually it begins with a software solution. Today's speech recognition and transcription software can be used with cell phones, microphones or dedicated recording devices — or with a headset and computer. The user can simply open the relevant transcription or speech recognition software, indicate where transcription is to begin and begin speaking. 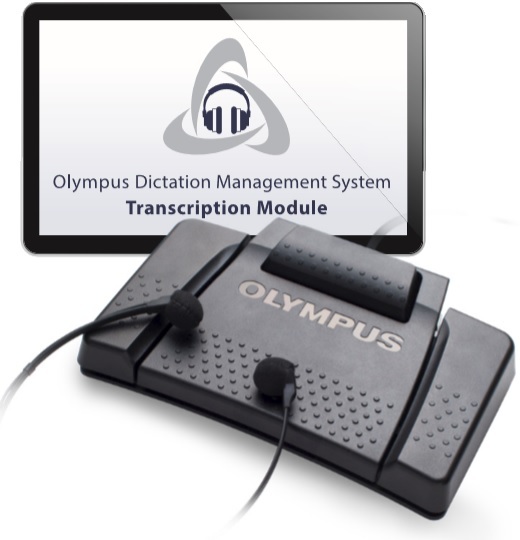 With a recording device, transcription can occur quickly after recording is complete. Before transcription or speech recognition can take place, however, law enforcement staff have to set up the correct programs on their computer, mobile devices or phones. In addition, the software has to be “trained.” That is, users have to go through the guided process of working with the software to recognize speech patterns, pronunciation and specific words. Usually, this involves simply reading prompts or text on the screen and allowing the software to analyze the information. In law enforcement, specific, frequently used jargon and phrases may also need to be entered so that the system can recognize it when spoken. Software such as Dragon Law Enforcement allows users to enter new vocabulary, but can also analyze documents and reports for commonly used terminology to improve accuracy. In addition, staff can get the most out of their speech recognition by using the right software and the right training with the program. For example, using quality headphones or recording devices can improve audio quality and, therefore, the accuracy of speech recognition software. In addition, learning to speak to a speech recognition program requires some training. In many cases, the best results can be achieved when speaking clearly and in phrases, rather than in individual words. The more natural the flow of a sentence, the more accurately a program such as Dragon NaturallySpeaking Professional can interpret speech patterns. Speech recognition today relies on algorithms, and actually becomes more accurate the more often it’s used. After the training process, users can make the speech recognition software even more accurate by correcting mistakes as they occur. The longer the software is in use, the more precise it will be. There are many dictation software programs available. It's important to compare a few titles to find one which feels most intuitive. 2) Find programs for law enforcement or legal professionals. General speech recognition may not be able to handle the technical jargon of law enforcement and legal fields. Look for a program used by professionals in these areas, or look for a program specifically recognizing the unique linguistic and dictation demands of these two fields. 3) Look for customizable products with robust added features. A good speech recognition program will make it easy for you to open files, stop and start dictation, pause and more. Look for products that will help you get more accurate with time and that offer lots of online training so you can input your most frequently used words, along with words specific to your job. If, for example, you need to transcribe or dictate reports with lots of names in them, make sure you can add the most frequently used names so you don't have to spell them out each time. 4) Seek out products with good support. Your speech recognition software is only as good as your ability to use it. When you have questions, or run into issues, it's useful to have strong support services behind you. For example, when you buy from DictationStore.com, you can rely on our expertise to help you navigate your new program and to offer you the advice and support you need. Think about how you will use your speech recognition software. Will you use it to transcribe from audio recordings? Will you use it at your computer to generate new content? Do you primarily want it for your police cruiser laptop? Will you use it in the field using a mobile device? Will you be using it in all of these contexts at your enforcement agency? Knowing how the software will be used, and what hardware will be used with it, can help ensure you choose the right product to meet all those expectations. Also keep in mind that the computer hardware you intend to use speech software with should have a fast processor and plenty of RAM. Speech recognition software can be resource intensive so the faster the computer, the faster it recognizes your words. A good speech recognition software program can handle well over 100 words a minute. Slower programs won't save you as much time as you might wish, which can be frustrating. 7) Take a look at the learning curve. All speech recognition and transcription software will require some work upfront. You’re going to have to spend some time getting familiar with the program and inputting vocabulary — essentially, doing the “training” that will make the program more accurate. In the beginning, you may also need to correct typos and mistakes to make the program more accurate. The best speech recognition software is accurate out-of-the-box and is intuitive to learn. The best software only needs to be installed and will walk you through setting up your headset or device, doing the training and adding your vocabulary. Are you ready to make your law enforcement department or police department more efficient and time-effective? Visit DictationStore.com to check out our wide range of transcription and dictation equipment. Whether you'd like to be able to dictate in the field or just need help with reports at the precinct, we have the hardware and software to assist you. We have been in business since 1968, so we understand this market extremely well. We can answer all of your questions, and we carefully handpick our equipment to reflect the best in the field. You can trust your cases and your staff with our equipment and technology. And if you have questions, we’re only a quick email or chat away. Start browsing today and pick up your copy of Dragon Law Enforcement to get started with reducing your paperwork. In our experience, Dragon NaturallySpeaking Professional provides the perfect blend of easy-to-use software with high-quality speech recognition technology that law enforcement can rely on.